When I passed my checkride I decided to buy another headset. After some shopping around I decided on the David Clark H10-13.4. You can read my original review about them here. Well it was time for my yearly aviation gift to myself so I starting shopping around and trying to figure out what to get. 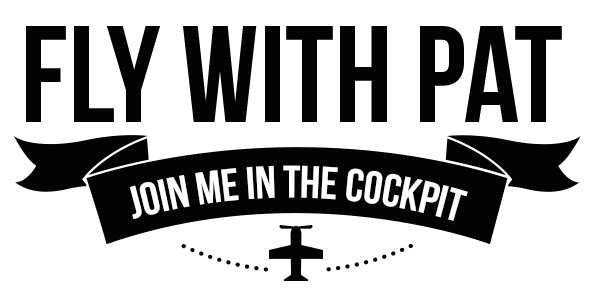 Recently I have been flying longer trips and spending more time in the cockpit. I found that my head would ache after each time I flew. Obviously long term exposure to something that hurts your head probably isn’t good for you. 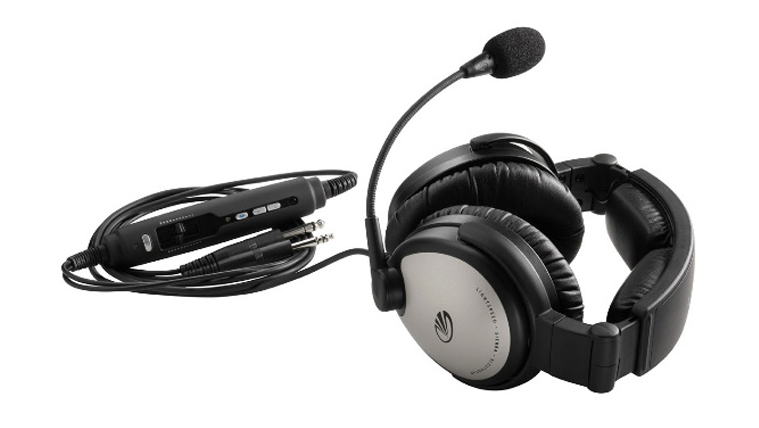 So I started looking for a new headset and was able to try a few of them out at the AOPA Summit in Hartford, CT. I came across the Lightspeed Sierra and after a test fit I decided to go ahead and pick up a pair. One of the big incentives for me to purchase the headset was the trade up program. I was able to trade in my Lightspeed QFR headset for a $250 credit towards the Sierra’s $600 price. I should point out that $250 is more than I paid for the headset in the first place. They will even give you $100 for any old passive headset, as long as it works. You can find out more about the trade up program here. After flying with them for over six hours I can safely say I won’t be going back to a passive headset. The deep engine drone is just gone and the headset itself is very comfortable. It is hard to explain the sound difference so I decided to take a recorder with me into the cockpit so you can hear it for yourself. The audio didn’t come out as perfect as I wanted it to but it should still give you an idea. Just as the weather started getting warmer I noticed a pretty annoying problem. The mic boom on my Sierra would sag down with the slightest bit of down force or vibration. I flew a few times to make sure I wasn’t going crazy and sure enough as I flew the mic would move further and further from my mouth. Since I was still within my warranty period I contacted Lightspeed. They had me send it in for repair. I got it back about a week and a half later but I still had the problem. Now I was obviously very annoyed and called them again. They told me to send it in once more and they would put a rush on it. This time they added a washer and changed the boom. Problem fixed. While I would have preferred to not have any problems I was happy with their customer service and response to my problem. We all know that tracking our hours is not only useful it is also quite rewarding. While I am closing in on that magical 100hrs of total time I started thinking about a way to backup my logbook just in case. I have also run into several occasions where I needed to know my current total time or pilot in command hours. My current logbook is one I purchased from Sporty’s Pilot Shop. It is a simple yet well laid out book that you can see here. While the book is great for a hard copy I wanted a faster way to pull up my time and a way to break down hours more efficiently. There are several online/software based logbook companies out there. I have two hangups with third party providers. The first is I am relying on that third party to handle my data. In the world of aviation it is sadly quite common for a company to just shut its doors one day. I would also have to download a backup anyway just so I didn’t have to worry about that. The second concern is purely financial. I am looking for something very simple and don’t want to pay for it. So my next idea was to make an Excel spreadsheet. I could make something decent, throw in a few macros for some charts and have something that was very simple to extract data from later. Since I often backup my personal data to several locations redundancy was not a concern. Then I realized one thing: I couldn’t be the only pilot who ever wanted a nice spreadsheet to log time. That is where Greg Wilson and cheappilot.com come in. Mr Wilson has created a great yet easy to use and simple spreadsheet in excel. It apparently used to cost $5.00 but it is now free. What a bargain! By far one of the best features is the automatic tally of landings within the last 90 days and instrument approaches which makes it very easy to check if you are current. So head over to cheappilot.com for the download and let me know what you think. Remember to ‘enable macros’ when you open the file in excel. Once a year my flying club’s insurance company requires that I fill out a questionnaire. It asks for total time flying in the last 90 days and 12 months. I noticed this was not part of the original Cheap Pilot spreadsheet so I modified it. I attempted to contact the original author for permission to post the modified sheet but never received a response. I am posting it here because I think it would be useful. The green headset has arrived. After passing my checkride I decided to get myself a present. 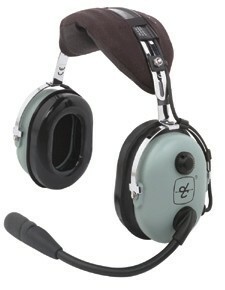 I went with a brand new headset the David Clark H10-13.4. I needed another set anyway so I could use my existing Lightspeed Solo SSc’s for passengers. The headset arrived in a simple box with the headset and the green shirt clip. At first glance the construction of the headset is superb. In comparison to the Lightspeed’s it feels much stronger and better built (keep in mind it is twice the price). The head pad is large and comfortable. The ear cushions are large and make a great seal around the ears. They are made of a glossy type of rubber which I think might become a tad annoying with sweat in the summer. Fortunately, DC addresses this problem with the purchase of fabric ear pad covers. I picked mine up from Sporty’s for $8. In conclusion after 4+ hours of flight I love the headset. While I actually like the Lightspeed’s for their slightly lighter weight and tad better sound proofing, I prefer the David Clark’s. The design of the Lightspeed’s wire continually poked me in the shoulder. Overall the H10-13.4’s are durable, sound great, and fit great. And they should last me quite a while.